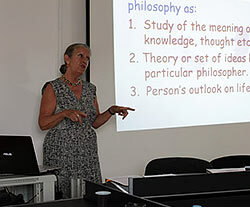 I speak at many conferences and presentations giving keynote speeches, organizing group symposia, presenting academic papers and talks as well as participating in group seminar sessions. If you are organising a conference and would like me to contribute please get in touch. I am available for consultancy related to all areas of the Early Years curriculum through to specialist work with Y5/Y6 children. 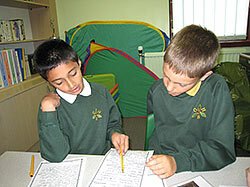 I work with 3 – 12 year old children and their educators to include teachers, teaching assistants, literacy co-ordinators, parents, governors, head teachers, researchers and educational consultants. My courses are always a blend of theory and practice and I share children's work related to work/research I have done. If you would like me to do a school based in-service day, work with children, offer some consultancy advice or speak at a larger conference then just get in touch. 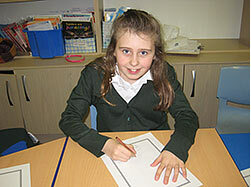 Using rhymes, jingles, games, activities, song and patterned predictable texts to motivate children to learn to read. 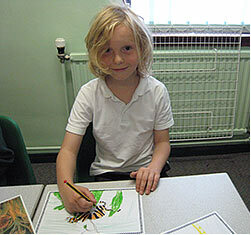 Creativity and language - talk, visual literacy and art. Janet has been teaching for many years and understands how to talk to children and their educators. 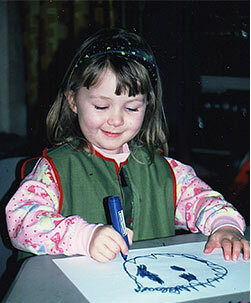 Janet has written and edited ten books and can draw upon this knowledge and her work with children for her workshops. Teachers will go away from Janet’s courses with a variety of ideas, strategies and activities that can be used in their classrooms. 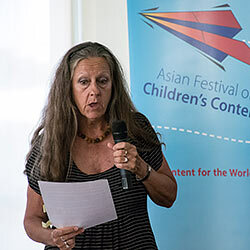 Janet is fanatical about children’s literature – particularly picturebooks and she will read and share books at each and every opportunity during the course. Janet is a confident, experienced speaker and delegates will respect the experience, knowledge and passion she brings to the course/conference. Teachers will feel comfortable asking questions - Janet has been a teacher and understands what it is like to work with mixed ability children. Janet will challenge participants with her ideas, while simultaneously supporting their current practices and understandings. 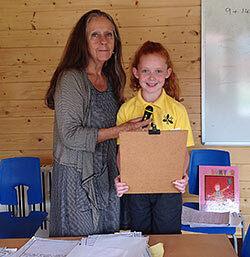 Janet is passionate about her subject and believes in entertaining as well as educating so participants will go away at the end of a day feeling empowered to try new and different things out in their classroom situation. "Janet was inspiring and reassuring. I’ve got lots of these books and was already doing some of these things. Now I’ve got loads of new ideas. Thanks." "Reaffirmed my philosophy on the teaching of reading." "Very interesting, lots of ideas, really good. A lot packed into the time." "Lots of visual books and ideas on display that really helped – liked having research to read that is directly related to what was being shown." "Very interesting – enjoyable and entertaining with lots of practical ideas and food for thought. Excellent presentation overall – a very valuable day." 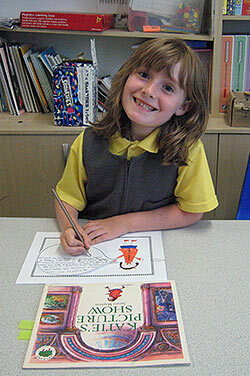 "Really worthwhile, lots of visuals with the books and good ideas to use at my school. Great, the best Saturday course I’ve been on." "A fantastic, inspirational and original course. A really enjoyable experience. It was a small group and this was very beneficial." "Extremely interesting and stimulating. Janet was very good at relating material to the specific needs/ age group of each course member." "Wonderful! So many ideas and what fabulous books!" "Excellent inset! Loads of ideas and resources. Very inspirational! Really enjoyed it, very useful." KUALA LUMPUR, Malaysia. – Four fabulous days in a fantastical world – the realm of illustrated children’s book! 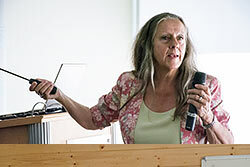 Janet Evans, vivacious and passionate, showed us the magic door which opened into the world beyond the here and now. It is a world which enchants, entrances, imagines, comforts, heals, and nurtures. With Janet’s exceptionally animated presentation, the ‘Animating Literature Seminar,’ hosted by the British Council of Malaysia had begun. It was the most incredible seminar I had ever attended with 20 delegates, nine speakers/facilitators, and six seminar staffers. No, I wasn’t a speaker. I was an ordinary delegate and I felt as if I’d become a child again. The speakers stayed with us the whole time, interacted with us, and joined our workshops. Janet was the first speaker on Tuesday, February 17, 2009 at the Executive Lounge on the 19th floor of Concorde Hotel in downtown Kuala Lumpur. It was a balmy afternoon outside and we had just eaten a lavish buffet lunch. I had travelled by bus from Singapore to Kuala Lumpur for five hours on that particular Tuesday. Having left Singapore at 7:30 a.m., I felt very sleepy. But Janet’s presentation was so compelling that it didn’t give me any chance to doze off. 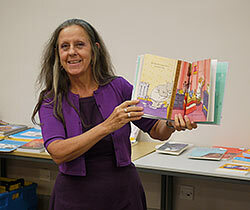 She talked about how children read and respond to picturebooks. The part I liked best was when she shared with us some of the illustrated books which her pupils in the United Kingdom were reading. She read each of them aloud while holding the books and showing us power point slides. 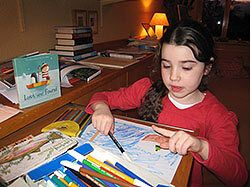 I was greatly touched by the book Jenny Angel by Margaret Wild and illustrator Anne Spudvilas. It’s about the death of a brother whom Jenny tries very hard to protect. But the inevitable comes to pass. It is incomprehensible. It is a loss and a pain beyond words, beyond pictures. Author Margaret Wild and illustrator Anne Spudvilas hold the reader’s hand and help them come to terms with death through Jenny Angel.